Researchers examine if household food insecurity is linked to a risk of developing type 2 diabetes. Food insecurity is a significant problem in Canada. It is the state of having limited or uncertain access to food due to financial problems. Statistics estimate that around 3.2 million Canadians were living in food-insecure households in 2014. These statistics are especially significant for individuals’ health, as previous studies have found households that are food insecure are more likely to have diabetes. Type 2 diabetes is a chronic disorder that causes blood sugar levels to rise above a normal rate. This is due to the body not using insulin properly. More than 200 million people around the world are diagnosed with type 2 diabetes. In Canada alone, there are 11 million cases, and it is considered one of the most common chronic conditions in the country. Previous studies suggest that people with a limited budget have less access to nutritious food and are more prone to buying cheaper high-calorie foods. This can lead to the development of chronic illnesses including type 2 diabetes. However, these studies have not been able to determine whether food insecurity is indeed a risk factor for diabetes. In a recent Canadian study published by PLOS One, researchers analysed 4,739 Ontarians of 18 years or older (2,050 men and 2,689 women) in a follow-up study that lasted approximately 12 years. In 2004, these participants completed the Canadian Community Health Survey (CCHS). The survey questioned their nutritional and dietary consumption. To conduct this particular study, researchers inspected the data collected from the 2004 survey. The survey analysed if participants were either “food secure” or “food insecure”. The survey inquired if individuals feel uneasy about having to buy food, are incapable of purchasing nutrient-rich foods, and if they miss meals or go hungry, due to financial constraints. The researchers labelled some participants as “household food secure” and others as “household food insecure”. Next, they followed and observed participants to determine if food insecurity poses a risk for developing type 2 diabetes. Researchers noted participants’ race, gender, income, physical activity, alcohol consumption, smoking status, and BMI, all of which are considered lifestyle variables for developing type 2 diabetes. Over time, researchers established that the Ontario Diabetes Database (ODD) diagnosed 577 participants with type 2 diabetes. 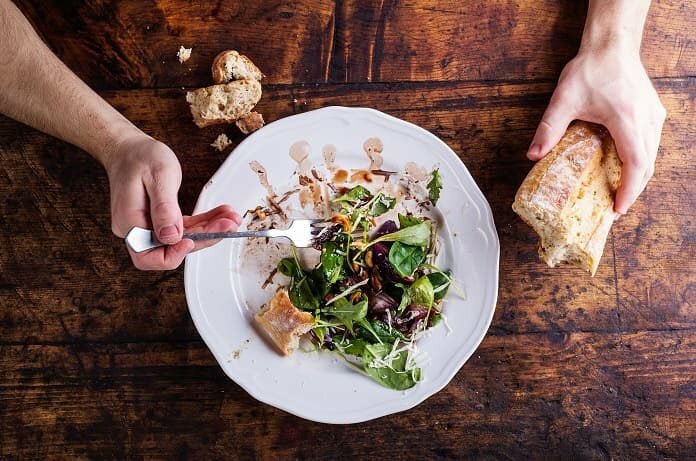 The results revealed that food insecure participants were more likely to be female, non-white, significantly young, consumed an inadequate diet, and had monetary restraints. Those who were obese, smoked, and did not exercise regularly, were also more likely to be food insecure. Participants who were food insecure were around 2 times more likely to develop type 2 diabetes compared to those who were food secure. Out of all the lifestyle variables tested, food insecurity stood out as a significant risk for developing type 2 diabetes. The authors note that without consistent access to food, citizens living with food insecurity will go through “binge-fast cycles”. These cycles can lead to high blood sugar and an increased risk for developing type 2 diabetes. The study had some limitations. Although the ODD provides truthful diagnoses, there is a possibility that some participants with type 2 diabetes were undiagnosed. Also, researchers were uncertain if participants had a pre-diabetic condition before they partook in the follow-up study. The number of participants included in the study was also relatively small. On the other hand, since it was a long, population-based analysis, the authors reveal that this study was strong. Due to limited income and a lack of community relief programs, food insecurity is increasing, and so is the risk for health problems. This places an amplified strain on the Canadian healthcare system. The authors state that if community organizations work with grocery and food retailers, there is a possibility that healthier foods can be brought into food banks and stores. With the evidence provided in this study, awareness regarding this issue is steadily growing. (1) Tait, Christopher A. et al. “The Association Between Food Insecurity and Incident Type 2 Diabetes in Canada: A Population-based Cohort Study.” PLOS ONE. May 23, 2018. 1-14. Online. (2) American Diabetes Association. 2018, http://diabetes.org/, accessed 31 May. 2018.